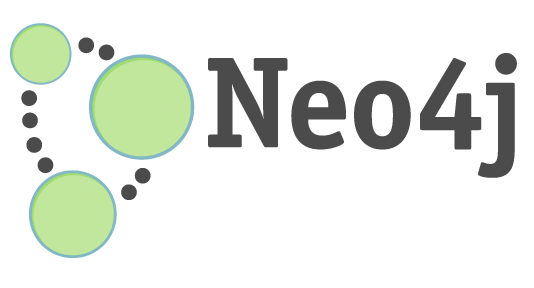 Neo4j is an open-source graph database developed in Java, and is one of the many popular NoSQL databases. Neo4j stores data in nodes connected by directed, typed relationships with properties on both, also known as a Property Graph. Cypher is the declarative query language used by Neo4j for traversing the graph and creating and updating nodes. Neo4j is a quite interesting and promising technology for relational data storage. However, possibly due to its young age and small community, many of the error messages Neo4j and Cypher provide can be quite cryptic and unhelpful. I've assembled a small collection of such error messages and attempted to give them a bit of meaning through explanation and example. CypherTypeException: Collections containing mixed types can not be stored in properties. The only solution here is to just ensure that all values in your array are of the same type. Performing the Cypher query in this way will ensure that all relationships between 'content' and any other nodes will be removed before attempting to remove the 'content' node. To fix the problem, just add article.releaseDate to the set of return values in the Cypher query. A particular entry in the index somehow exists multiple times (in my experience, this seems to randomly happen sometimes; probably from poor coding), so Neo4j couldn't find a unique path between node A and node B. The solution is to lookup in the index the particular node you're attempting to modify to identify duplicates, and remove all of them except for one. This fairly vague error message seems to appear randomly when attempting to perform write actions, and it means that somehow the query was executed outside of a transaction. This can occur when, for whatever reason, the OS fails to write to the disk. Since the database is unable to know what has been written and what has not it has to abort its operations. This seems to happen a few times per year in my experience. When you encounter an error like this the only way I've found to recover is to just restart Neo4j. In newer versions of Neo4j (i.e. 1.9.x) this error should occur less often since the database will attempt a recovery automatically. When it is able to recover, it will behave the same as if the user had restarted the database. Requests that come into the database during recovery will queue up and be handled once the database is back in a safe state, assuming the issue with writing to disk is resolved. If the database continues to be unable to talk to the harddrive, it will shut down. Most of my experience to this point has been with Neo4j 1.8 and 1.8.3. I've attempted to upgrade to 1.9.2, but for whatever reason many queries that previously functioned properly would take 20 or more minutes to return a result, so I gave up with the newer version. However, from my research it seems likely that the newer versions of Neo4j should be more stable and somewhat less prone to unusual errors. Even with node2 shut down and completely removed from the cluster the error still persisted.